Official has finally out SSB Admit Card for SI and ASI Post to fill 872 vacancies. Applied candidates for SSB Recruitment can download SSB SI ASI Admit Card as downloading link is now active on official website. SSB SI (Communication) written exam will be held on 16-09-2018 and for SSB ASI (Communication) post written exam will be held on 09-09-2018. You must download SSB Hall Ticket as per your post before SSB Exam Date. 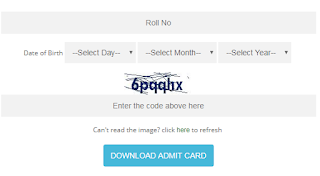 To download SSB Exam Admit Card, you have to login to official website and you will required your roll no. and date of birth. You can also take help from below given steps and download SSB Written Exam Admit Card. Contenders can collect detailed information about SSB Admit Card 2018-19 by going through this page completely which is provided below by the expert team members www.privatejobshub.in. Foremost step of individual is to login to home page of that is www.ssbrectt.gov.in to download SSB Admit Card 2018. Now, press “Download Admit card For Written Examination For The Post Of ASI (Communiction) SI (Communiction) By 52.74.200.63:86/ssbweadmitcards/” link. On appeared page, press “Call List of Written Examination” link that is given in left side in “Latest Update” section. Further press “List of eligible applicants for Written Examination for the post of SI Communication) (Date of Exam: 16-09-2018 )” OR “List of eligible applicants for Written Examination for the post of ASI(Communication) (Date of Exam : 09-09-2018 )” link as per the post you are interested to apply. SSB Result PDF will appear where you have to press “Hit the link to download Admit card: http://52.74.200.63:86/ssbweadmitcards/” OR “Hit the link to download Admit card: http://52.74.200.63:86/ssbweadmitcards/” link as per your post. Now, you have to fill the asked details in the space provided to get SSB Admit Card. 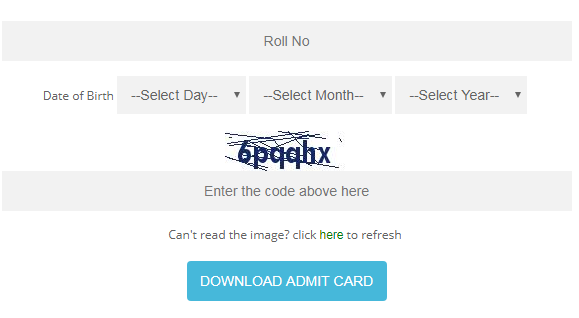 Once details are filled then press “Download Admit Card” tab. Your SSB Exam Hall Ticket will be displayed on your system screen in PDF format. You can go through SSB SI ASI Admit Card carefully and check the details. Further press suitable tab to download SSB Call Letter. At last take the print out of SSB Admit Card and bring Sashastra Seema Bal Admit Card at the time of examination. Selected of candidates for Sub-Inspector (Communication) and Assistant Sub-Inspector (Communication) post will be done on the basis of following rounds. Those, who will get selected in all the rounds, will be finally appointed for applied posts. SSB written test will be multiple choice objective type. There will be two question papers carrying 100 questions each. Time duration for will be 02:00 hours (120 minutes) for each paper. Final merit list for the posts of will be prepared on the basis of marks obtained in the Paper-II (Technical Written Examination) only. Candidates may download their SSB Admit Card of applied examination through online mode from official website. If any candidate is facing any problem through online mode while getting SSB SI ASI Admit Card then you can follow above provided steps that are prepared for the easiness of readers. Also, aspirants may press provided direct link to get SSB Admit Card 2018. Candidates can get SSB Admit Card 2018-19 from this Official Link. You can subscribe with us just by entering your email address in our subscription box and gets latest updates directly in your mail box or keep visiting here on this page.